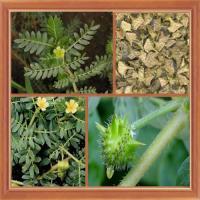 Tribulus terrestris is a multi-branched creeping herb, widespread in tropical and subtropical regions throughout the world, the annual or perennial. Has a special sub-flap and hard fruits Lee thorn. Plant source: Tribulus Terrestris L.